In Conversation with Adam Zickerman: What's changed since Power of 10? "I've made the mistake of not thinking for myself in a way, just following a strict protocol. Now, I still believe in the principles of lifting weights slowly and safely and there has to be a certain level of intensity, but that's where the rules end." Adam Zickerman, owner of Inform Fitness and author of Power of 10, speaks to HITuni about his story and how his perspective on exercise has changed over the years. This is a further blog post in a series featuring outstanding individuals from the HIT community who we spent some time with on our trip to the US earlier this year. 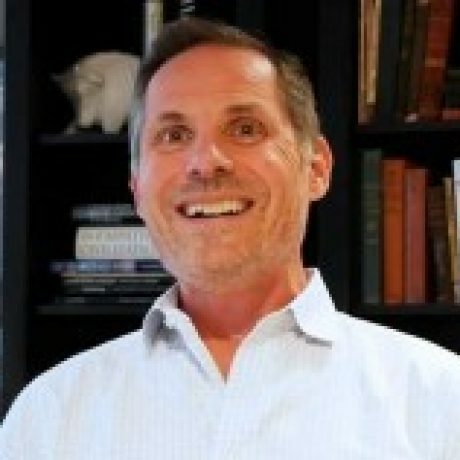 In this post, we feature Adam Zickerman, owner of Inform Fitness and author of Power of Ten 10. He had always been athletic as a kid and teen playing baseball, swimming, cycling and even pushing himself through triathlons. It was this athletic nature that initially led him into the world of strength training, seeking improved performance in his sporting endeavours. Despite this less than motivating input Adam continued to stick with his exercise routine religiously. Somewhere in the back of his mind however, that critical feedback registered, leaving him questioning the benefits of his regular five day a week exercise regimen. Sometime later serendipity came knocking, at a Thanksgiving dinner Adam was engaged in a conversation about exercise. The young man, a friend of the family, revealed the exercise philosophy he was following, an approach called high intensity training or HIT. Intrigued, Adam persuaded this young gent to train him in the manner he had described. The workouts and post-workout chats helped flesh out Adam’s understanding of the HIT protocol. Mentions of Arthur Jones, the exercise machine inventor, led to Adam seeking out and reading Jones’ seminal Nautilus Bulletins. 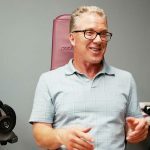 Soon he was seeking out more experienced HIT trainers to guide him through more demanding workouts: he found Ken Leistner, an ex-Nautilus employee and strength training coach. During these early days at some point Adam got injured performing deadlifts. And the injury bugged him- mentally as well as physically: he was after all engaged in exercise to support his health and fitness, not take from it. Then sometime around 1995 he read a copy of Ken Hutchins’ book on the SuperSlow technique and the approach to exercise outlined resonated with him. It was at this point that Adam stared training others. On top of holding down a day job selling medical equipment, he took on a role as personal trainer at a local Long Island Super Slow facility. By 1997, Adam was going it alone, opening his own facility in “a small little basement that smelled like cigarette smoke” in a blue-collar area of Long Island. He filled this space with just 5 pieces of equipment. 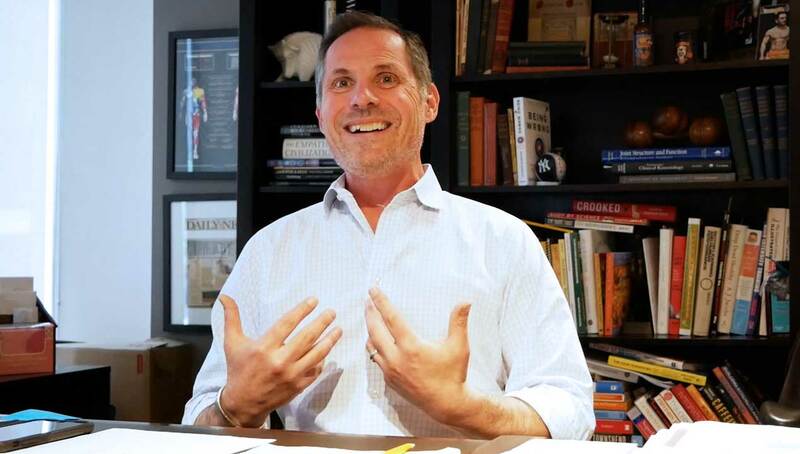 Within 3-4 months of opening he had already built up a client book of 50-60 regulars, by taking advantage of his strong local network including family, friends and extended connections. A desire to grow the business further saw Adam mailing letters to the editors of 50 New York based publications. His plan was to garner interest in an article about his facility and approach to exercise. Out of the 50 publications Adam had written to, 49 were not interested or did not reply. That only left one, the New York Times, and they wanted to run a full-page article on Adam and his gym. A photographer promptly turned up and diligently took photos of Adams small basement set up and lo and behold… a full-page article on Adam and his facility was featured in the New York Times. Simple as that, lady luck certainly smiles on the proactive. There was a resulting onslaught of inquiries from NY Times readers, just one problem, not one call was from Long Island: they were all from residents of Manhattan. Not wanting the fortuitous publicity to go to waste Adam collected the names and contact details of all the inquirers, telling them that he was opening a Manhattan facility in 6 months. The next challenge for Adam was making that promise a reality… the search for a Manhattan premises was on, with some urgency. Ultimately a suitable location was found and operational by August 1999, a space that is subsumed within the larger Inform Fitness Manhattan that exists today. From the 120 interested parties that Adam had collected from the NY Times article 6 months earlier, 20-30 actually started with him when he opened in Manhattan. Adam’s next major stepping stone was the result of another of his media mailings. Just as he had done before he sent out another press release to coincide with the opening of the Manhattan facility. Despite the numerous letters that he sent out, he only got one response. This time it was News Week magazine and they ran an article on the opening of Inform Fitness Manhattan. A great result in and of itself but better was yet to come, the contacts that Adam made at News Week magazine ultimately had bigger ideas than simply an article, they saw the potential for a mass market book on high intensity strength training. Despite the obvious opportunity Adam was reluctant initially, he was unsure if the message could be got across in a book, and questioned whether it could it even be practically useful for readers who would not have access to a supervising trainer and the specialist equipment he had populated his gyms with? Everyone else’s enthusiasm eventually won out and The Power of 10 was published in 2002. Adam wants to help shift the popular mindset away from the notion that you need to exercise a lot to be fit and healthy. He wants people to see HIT as the norm, the foundation of fitness routines. He has made it his mission to change minds about exercise one at a time. He believes that by acting locally individuals in the HIT community can help to create a positive momentum and ultimately a shift in the collective understanding of exercise. 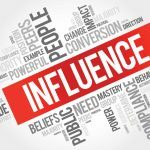 There is of course billions of dollars at stake and many vested interests to overcome for a HIT approach to become dominant once again in the fitness industry. Adam sees glimmers of hope in the current popularity of more “intense” approaches to exercise. Whilst high intensity interval training, Crossfit and 30 minute fitness fixes may not quite be HIT they have created some momentum in highlighting the value of intensity in exercise to the general public. Adam’s Manhattan facility is full of Nautilus, MedX and Super Slow equipment, machines that were designed or have been retrofitted to provide a resistance that matches the strength curves of different muscles. He acknowledges that these high-tech machines are just tools to fatigue muscle- ones that help to successfully and safely exercise whilst avoiding injury and irritating joints. As Adam points out life is tough enough as it is without adding unnecessary stress to the body over the long term through poorly applied exercise. Adam points out that even some of the best machines in the world may not quite work or gel for particular individuals. In scenarios like this he encourages his trainers to get creative with other tools when appropriate, for instance Inform Manhattan has a collection TRX, free weights, resistance bands, balls and even an exercise bike. I was interested to find out from Adam what if anything, had changed in his perspective on exercise and its practical application since the publication of the Power of 10. He feels that he almost knows less about exercise now referring to advancements in genetic science and a greater appreciation of individualism, seemingly questioning whether a one-size fits all approach is appropriate. In the past, Adam used to insist on set workouts for all, a specific order of exercises and workout pace, rules passed down from his mentors. There is a maturity in his questioning of his younger self’s following of a strict exercise protocol and whether he was thinking things out enough for himself at the time. What has remained is a belief in the principles of lifting weights slowly, safely and intensely, but he now feels that is where the “rules” end. Today, he considers his perspective to be more flexible and adaptable. He no longer restricts workouts to exercise machines only, he now see’s a value in unilateral training and even includes interval training in his own routine. The role of an individual’s genetics, psychology, age, motor skills and ability to tolerate intensity all factor in to adapting the protocol for a particular client. Longer time under loads are applied with certain people providing a better stimulus and psychological satisfaction. Total momentary muscular failure may not be essential so long as the client is approaching failure in their exercises and is progressing over time. Most of Adam’s clients train at Inform once or twice a week, a handful come three times a week and workouts are tailored to the preferences and natural strengths of the individual. 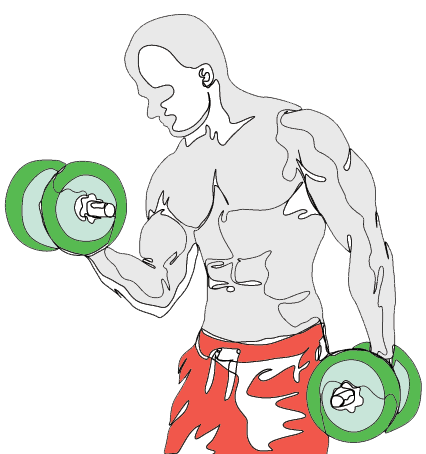 Working larger muscles groups first is still the norm, but for some this order is altered, upper body first or alternating upper and lower exercises throughout the workout. Those who come twice a week may perform the Big 5 on one day and then a more single-joint based routine on the other. Some who train twice a week may do an upper/lower split. The role of personal trainer is customer facing, requiring listening skills, care and compassion, and an ability to adapt to different personality types. Adam refers to Setting the Table by restaurateur Danny Myers, a book about customer service and hospitality in which the author discusses hiring service staff: the bottom line is that some people have the natural ability to be good hosts and some don’t. The same is true for personal training. Do you have the passion for it? Can you communicate complex concepts easily? (Be like Carl Sagan). Are you naturally good at connecting with people? Adam started his fitness business by himself in a basement and now has multiple locations and scores of staff. It is those who have gone on this journey with him as Inform has grown that he is most proud of. He is also honoured to have been able to help so many people get and stay fit. Perhaps no one represents this better than 94 year-old, Betty. She is practically blind, hard of hearing and travels a long distance to Inform every week to train to momentary muscular failure. Betty only really started exercising in her 80’s: a shining example that you are never too old. Sessions at Inform keep her walking, give her functional ability and muscular strength. She is an inspiration to all Inform clients and Adam reckons everyone should do HIT because Betty does. Adam has stacked up more failures than successes, but he believes that his successes have probably come out of his failures. He has dealt with ex-employees setting up shop on his own doorstep and faced criticism from colleagues for his role in popularizing this approach to exercise. He chooses to focus on the positive when dealing with the fires that pop up and sees them as an inevitable part of being in business. It is all worth it because ultimately he loves what he does for a living! It is important to be truly passionate about what you do. The most successful trainers eat, live and sleep this stuff (HIT). I was so obsessed with this paradigm shift that I became this crazy evangelical creature of this idea (HIT). Personal training was always an idea for me, but I didn’t just want to be a personal trainer. Be open to opportunities and ready to run with it. My career has been a series of serendipitous experiences. It’s very important to be at the right place at the right time. I opened my first place in a small basement in a very blue-collar area of Long Island. People were coming from all over Long Island to train with me. HIT was a real novelty at the time. Go out there and make it happen. I had 120 names and I called everybody up and said ‘We are opening! We are opening!’ About 20-30 started with me, which was enough to pay the bills. Keep learning and evolving your thinking and approach to exercise. I’ve made the mistake of not thinking for myself in a way, just following a strict protocol. Now, I still believe in the principles of lifting weights slowly and safely and there has to be a certain level of intensity, but that’s where the rules end. I’ve introduced intervals, I am not just using these retro-fitted cam machines anymore, I am not so adamant about doing fused movement arms anymore, as opposed to independent and bilateral types of movement, when I feel it’s necessary. And why do I feel those things are necessary? The variables are un-ending, depending on a person’s genetics, lifestyle, age, psychological profile, so many things come into play. What good is putting someone through a very strict Ken Hutchins-like original protocol, when mentally they can’t handle it? They trust that me and the rest of my staff are doing all the work and research (in exercise). We are keeping our clients informed, they appreciate our feedback. Care and compassion are keys to success. There are some people that have it and there are people that don’t. The first thing I ask a personal trainer if they are thinking of getting into personal training is to be very honest with their self-assessment and ask themselves ‘do I naturally connect with people? ‘If you don’t have that innate ability to care, then this is probably not the best business for you. Learn to communicate complex exercise concepts simply, to your clients. The ability to communicate is absolutely the most important thing for a trainer. Can you take an idea that’s kind of abstract and explain it to somebody in a way they will understand it? Carl Sagan can explain astronomy to the lay person. He’s the best example of someone can take really abstract ideas and have anybody understand what’s it about. I always say ‘can you Carl Sagan it? Learn to deal with difficult situations calmly and confidently and develop a thick skin. I have a lot more failures than I do successes. We’ve had our fair share of crises. I go with the flow, I take things as they come and I deal with them. I am a pretty even keel personality that way. I can crumble or I can move on. I don’t let it escalate to panic, I just deal with it as best as I can and hope for the best. This is a blog post in a series featuring outstanding individuals from the HIT community, who we spent some time with on our trip to the US earlier this year. Hi I’m Simon Shawcross, passionate about helping people like you to optimise your fitness, health and wellbeing. As a Master High Intensity Training Personal Trainer, I am primarily focused on providing you with exercise that is result-producing, safe and efficient. I have supervised over 15,000 workouts and will bring over fifteen years of experience to the courses. I am the Founder and Director of HITuni, which provides education about High Intensity Training for all, and certification courses in HIT for personal trainers. 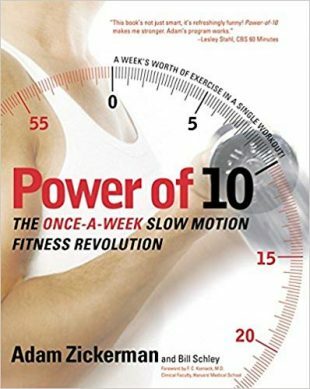 Adam Zickerman is the owner of Inform Fitness and author of Power of Ten 10. He has been in the business of high intensity training since the late 1990’s. In fact, 2018 marks his 21st year in the business of teaching the principles of sound strength training. Today, InForm Fitness’s headquarters is still housed at the same Midtown address, although it’s been expanded to 4,000 square feet and serves over 300 clients weekly. In recent years, InForm has opened 5 additional locations – Los Angeles, CA., Leesburg, VA., Boulder, CO., Denville, NJ., Port Washington, NY. – and launched a mobile gym; a 27-foot bus with retrofitted equipment available to train people at their home or office.